The name Dachshund as the breed itself is of German origin and translates to ‘Badger Dog’ literally. Dachs mean Badger and the Hund stands for dog. These were developed to hunt for badgers and rabbits and hence the name. (Rs 10,000 - Rs 20,000) approximate cost,which can very according to the puppy and the location. This is a hotdog that the whole family will enjoy together. We are not talking about a meager hot dog sausage that is wrapped in two buns. We are talking about a Daschund fondly called the hotdog because of its shape. This is a fun dog for the complete family with its comical features. Do not be fooled by the size of this scent hound, they have exceptional amount of courage, which they are not afraid to show in front of strangers. 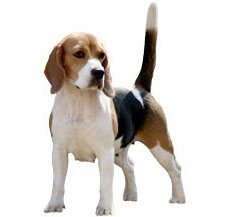 This breed has characteristics of a Pinscher, French Basset Hound, Spaniel and Wire Haired Schnauzer. They can trail smells to a large extent and their sensitive nose can follow the trail even after its cold. Their long and slim body helped them to get inside the tight tunnels and borrows easily to catch the animals. Their versatility makes them an adorable breed, in fact in 2005 they were one of the most popular breeds as pets in United States. They come in various coat options as well from smooth coat to wire haired to long haired Daschund. Whatever you choose they are guaranteed to be fun. Our aim here is to help you understand your pet better and if you are a prospective owner then we will help you to anticipate their requirement or the next move. Your Daschund some believe is a very old breed in fact there are some scholars who believe that these four legged creature featured in ancient Egypt as well. There are some engravings that suggest the same. Though, this modern day short four legged creature is the creation of the German Breeders. The Daschund was bred with breeding the Pinscher, French Basset Hound, Spaniel and the Wire Haired Schnauzer. This would explain the different hair lengths. The breed was developed to hunt for badgers and rabbits, their slim size made them perfect to fit into tight tunnels and burrows. They were designed to catch prey both above as well as below the ground. Dachshunds have a unique shape. You have to remember one thing that with the different shape arise certain difficulties as well. This may not be the ideal breed if he or she has to come go up and down the stairs a lot of time. As they might get some back problems. So keep this in mind. Your Daschund can be stubborn when he or she wants to; this was a characteristic that was bred into the breed. This is one of the prime reasons that they were considered such great field hunters. So training will not be a cakewalk exactly, it is going to require a lot effort. The small and compact shape of the Dachshund gives rise to some unique issues in the pet. The lung for starter is larger for a small size dog. Their chest cavity on the contrary is a like a barrel, this gives them a loud and deep bark. If you hear it for the first time then you might thing that it coming from a much larger dog. This dog loves to dig, they were bred to hunt and they still like to indulge in digging even today. So do not be surprised if he or she digs up your prized rose bushes to look for its prey. The other feature which makes them different from other dogs is their ability to kill their prey. So your pet will not be satisfied to just hunt its prey it will kill it for you. This is not a good proposition if you have other smaller pets in the house. This half a dog high and a dog and half long hound is a perfect companion to be featured in various movies. Along with this these hot dog shaped dogs have got the fancy of the celebrity world as well. Daschunds have been part of various movies, which include Good Boy!, Hotel for Dogs, Grand Hotel and Garfield: The tale of two kittens. Along with this they have been featured in The 70s Show and Lady and the Tramp. These wieners caught the fancy of various celebrities such as Queen Victoria and Picasso in yester year. In the present world the celebrity list includes Singer Adele, John Wayne, Actor Marlon Brando and Supermodels Cindy Crawford and Heidi Klum. They have been the residents of the White House as well in the reign of American PresidentGrover Cleveland. Daschunds are one of the few breeds that have featured in the magazine covers as well. This includes Vogue, Ideal Home, LIFE, Look and Bergdorf Goodman. Grooming your Daschund depends on its coat. The smooth coat Daschund as the name suggests is very easy to maintain. They will require occasional brushing to ensure a smooth and lustrous coat. This shed less and there will be hair flying around the house. Brushing them once a week is sufficient. The Wirehair Daschunds require a little more extensive grooming. They shed lesser than the smooth coat Daschund though. These Daschunds have a wiry hair on the outer surface and has a soft undercoat underneath, this dies several times during the year and needs to be stripped or plucked. You can do this yourself or if required you can take your pet to the professional groomers. When it comes to grooming Longhaired Dachshunds, this will require the maximum time and effort. You need to brush them on a daily basis to get rid of all tangles and mats that is present in the coat. Irrespective of whatever coat your pet has it is integral to clean its ears. You should check on it on regular basis and clean the wax deposition with a cotton ear bud or wipe effectively. This will ensure that your pooch does not develop any infections. In addition to this the foot also has to be checked on regular basis to ensure that there are no infections causing germs. You should start this right from when they are puppies as they can become temperamental if you touch their feet at a later stage. These small dogs are generally a healthy breed but you have to remember when getting a puppy home that almost all and every breed has a chance of developing genetic disorders and they can also contract any of the common diseases. So this not a word of law these are some of the unfortunate cases that you can encounter with your Daschund at times. 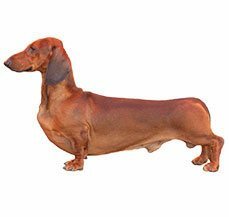 One of the most common problems with Daschunds is related to their backs, the breed because of their height and short legs have fragile backs. This can lead to various problems such as intervertebral disk, spinal trauma and back pain. Though at times it can be treated with back physiotherapy there are some cases when a surgery will be required as well. The other problem area is the legs. The Daschund has short and crooked legs, which are sensitive. This if not treated in time can lead to various back problems, which needs immediate vet attention otherwise, can at times even lead to paralysis. In addition to this they can get various skin allergies and diseases associated with the breed. This can range from various allergies and skin ailments. The skin issues will not be life threatening for your pet but should be treated in time as if left unattended they can lower the quality of life for your dog. Daschunds dog may be small on size but it is a head turner when it comes to having a personality. Their funny antics and different structure make them stars wherever they go. These are even temperament dogs and do great with children of all ages. These can be the perfect watch dogs as they have phenomenal courage and do not back down easily. Their small size not only makes them good with children but is perfect for all apartment dwellers. This does not necessarily mean that it does not require exercise; they will need regular run to maintain their general health and ideal weight. You will need to spend a lot of time with this pooch to housetrain them. He or she can be very stubborn at times so you will need extra patience with this breed. Courage is synonymous with Dachshunds, a trait given to them by the breeders. These are intelligent dogs so you will need to keep him or her engaged for long hours. They are perfect for all families but are exceptionally good for old and single people as they are excellent with those who can devote time to them solely. 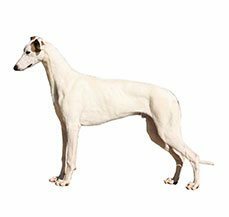 The other thing you will have to keep in mind is that this breed has an independent trait, which can at times clash with yours. This can be easily curbed though with constructive training. Daschund is perfect for the apartment style of living. These dogs fare well indoors and are quiet happy without a yard as well. Though almost every dog loves a house with a yard with the space. You should not be fooled by the size of a Daschund. These dogs have exceptional stamina and are super active dogs. They need to be walked on a daily basis. They will also enjoy a play session in the park and will love to play in open areas, though they should be kept in a leash as their skills to hunt for a badger and rabbit can drive them to places, which might not be safe for them. In addition try and not play the jumping games with your pet as this can at times damage their spine. This breed descended for catching animals below the ground as well so they are fearless diggers, so do not be surprised when your pet digs underground burrows and tunnels in your yard or ruined your prized rose bushes. This is their natural instinct and has to be channelized with constructive training. Do not be fool by those innocent looking eyes. Your Daschund is a very intelligent breed; they can be stubborn though, which at times can be a hindrance to the training process. The excellent nose and small size make them excellent sniffer dogs but the stubbornness to learn plays an hindrance to that aspect. Training them is difficult but not impossible. You just need to be patient and ensure consistent training to achieve results. One of the easiest way to achieve that is through food. Always start with basic training. They are super friendly with all kids. So remember that this job will be easily done if given to them. You never know you might have an obedient dog in your house with persistence. The first thing that you notice about this watchdog is their much talked about hot dog shape. 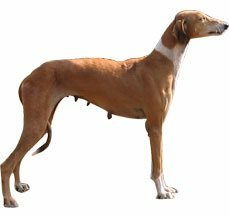 Daschunds have a well ribbed and long body that is muscular. It is efficiently above the ground to ensure unhindered movement. Their forelegs are hard muscled and are parallel to the hind legs. They have a full front feet with smaller hind feet and the pads are thick and firm. The coat of your pet can range from smooth haired to wire and a full haired pet. The tail is slightly curved and continues to the line of the spine. The head of the Dachshund is long and tapering with a slightly arched muzzle. The lips are stretched with a strong jaw. The ears are fairly long, broad and well rounded. They are set high with a forward edge and touch the cheeks. This scent hound has a oval and medium sized with a lively expression. There are times that one or both the eyes can be partly or completely blue. They come in two sizes a Daschund and a miniature Daschund again with three different coats. Whichever you bring home these fun pets are bound to put a smile on your face for on an average 10 to 12 years.